Over the last few years, we have been in contact with pastors and churches in Texas, Oklahoma, New Mexico, Kansas, and Missouri. Some of these pastors have attended Youth Challenge but the distance is too far to bring their youth all the way to West Harrison, IN. There are several summer youth camps in these western states. But there is no centrally located youth convention that would allow holiness youth groups to come together to be encouraged and challenged in the Lord. These pastors and youth workers have been praying and asking God to provide a youth convention geared specifically for their young people. 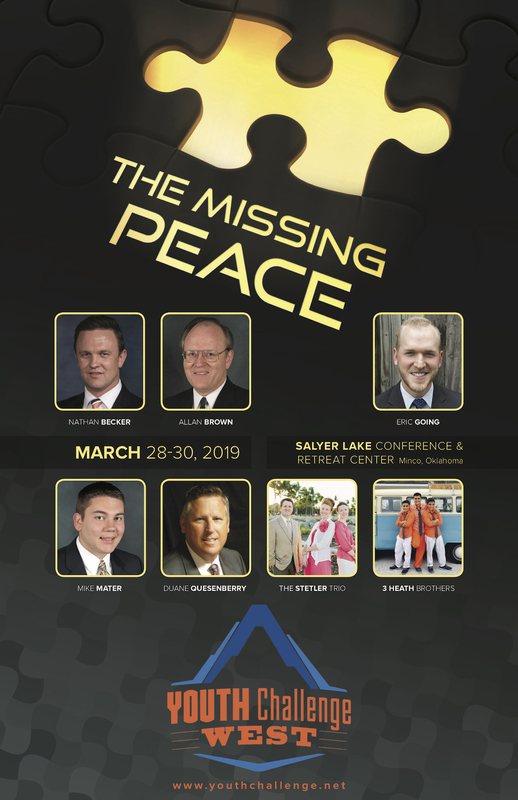 As a result of their prayers, God has opened many doors and we are thrilled to announce the launch of Youth Challenge West on the campus of Salyer Lake Conference and Retreat Center near Oklahoma City, Oklahoma. We are asking our Youth Challenge family to join us in prayer for this exciting opportunity to impact holiness young people west of the Mississippi River. Sign up to get the latest updates from Youth Challenge.